Truly this build alone cost $384.80 by excluding the OS, peripherals and the monitor. Built for my grandma E. It’s her first official desktop and also the first time with Windows. And it’s purpose will remain simple uses which is her banking online, surfing the internet such as The Japan News, and Netflix. Maybe I can gently ease her to game. Something like a puzzle game but that might be tricky... I’ll see on what I can do to peek her interest. Plus I’ll have to teach her some basic computer skills which I’ll keep it simple as much as possible. It’s replacing the ITX computer which I’m keeping a hold of for now. Most of the parts that were purchased from 2016 between 2017 are the Pentium G4600, the single 8GB Gloway RAM, the EVGA FTW GTX 750 Ti which came with a backplate for free by Newegg, and the Seasonic 430w Bronze 80+ PSU. 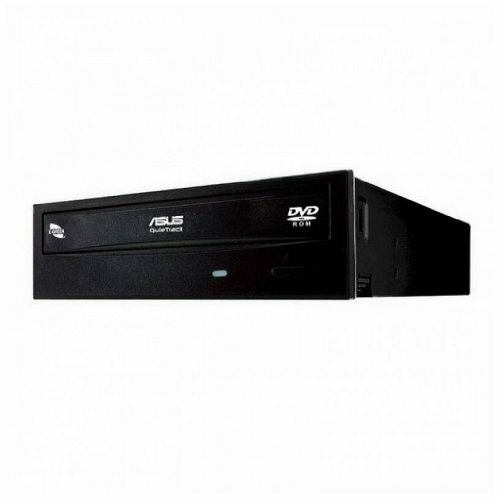 Everything else that was purchased in 2018 was the ASUS H110M-E/M.2, WD Blue 250GB M.2 SSD, the WD Black 500GB 2.5” Hard Drive, the DIYPC MA01-R MicroATX Case, the ASUS Optical Drive, the Operating System Windows 10, the Logitech MK120 keyboard & mouse combo, the USB WiFi, the Sceptre Monitor, the Genius USA Wood speakers, the puppy mousepad, and the Japanese keyboard stickers. Photo numbers 1-3 is the final result. Photo numbers 4-21 is some benchmark screenshots. Photo numbers 22-200 is the building process. 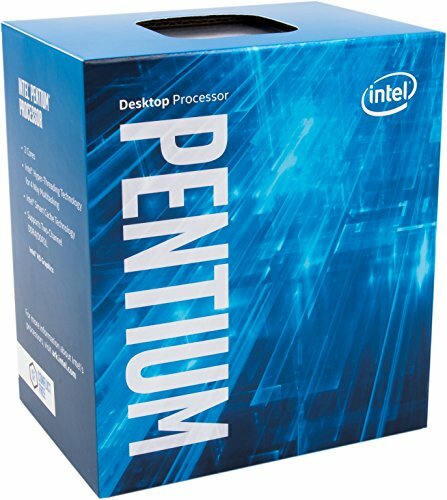 A very impressive Kaby Lake Pentium with hyperthreading. I purchased this originally from Amazon in 2017. The performance from this processor is really good and do not underestimate these 7th generation Pentiums. Came with the processor. It’s not fancy and slightly audible but it works regardless. Purchased from Amazon as a used motherboard. I thought the price was great at the time and it came with 2 SATA cables, the I/O shield, a manual and a disc. Even though I downloaded the necessary drivers from the motherboard’s website. The layout is mostly great, since the connections were easy to manage but maybe the only case fan connector and the SATA3 0 is in awkward positions. And keep in mind, when installing an M.2 SSD, the SATA3 0 is no longer available since the M.2 and SATA3 0 share the same bandwidth. Otherwise despite its age and simplest needs, it’s a decent motherboard and it works which I am grateful. The BIOS is version 3805. I had no clue what the BIOS was but it was 3602 which also works for Kaby Lake. I still decided to update the BIOS since already had my Skylake Celeron temporary installed. There’s no notes about what the BIOS was so I had to assume it was a very old BIOS but looks like it was good to go regardless. This was the best deal I was able to find for an 8GB DDR4 @ 2400MHz for Skylake from Amazon June, 2017. Works well, automatically overlocks and the BIOS and Windows, even CPU-Z sees the speed of 2400MHz. Purchased as used from Amazon and it’s performing well. Snappy and boots in 2~3 seconds and loads Windows 10 in about 3~4 seconds total. Helps to have less cables too. Purchased from Amazon at the last minute and was one of the last internal components as well. It’s used but was very affordable. It works really well. And this solved my dilemma that I should have thought out a bit better but no worries since plenty of storage and will be storing photos, documents, and some of my games whenever I visit. It’s simple, light and sleek looking. I purchased this at Q2 2016 from Newegg which came along with a free backplate. Basically re-purposed this GPU to a new home. Some old games do well in Max graphics but anything recent that demands more on the graphics card then it shows its age but at least it plays some demanding 2018 games. 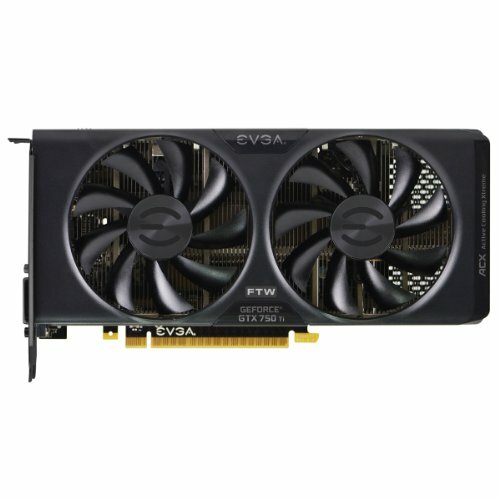 Still a great card for games like Rocket League, Overwatch, League of Legends, Paladins, other MOBAs and games that don’t require too much GPU power. Purchased from Newegg and thankfully it was lowered in price. I wanted an external appearance that was simple and not seem “Hey look at me!” Anyhow, here is my list of pros and cons about this case. 1) Offers two fans right away but keep in mind one is a 120mm Red LED case fan and the back-case fan is 80mm ONLY. I already knew I was planning to swap out the LED case fan since I have a lot of spare non-LED 120mm case fans. These case fans do offer the options to use 3-pin between Molex connections. I cannot say how bright the LED looks at the moment. And yes, could also install a 120mm case fan to the side as well. 2) Decent cable management options. I would say there’s a couple of ways to manage wires within this case but helps to have flat wires. The bulge on both sides of the case do help a little if some wire is bulky or it’s not quite easy to bend enough. Though do plan out your wire management or in other words test run the wire management before closing any of the panels, especially the front panel. 3) Plenty of options with storage but may not be pretty. So the lack of pretty cable management is a con but there’s about 4 or 5 ways to install 2.5” SSDs and Hard Drives. It all depends how you manage your wires in the first place so as I mentioned in number two, plan it out first as there’s many ways to handle the installation for storage. I had to be a creative here as best as I could. Yes, the storage panel can install two 2.5” SSDs or 2.5/3.5” HDDs. Could install two 2.5” SSD/HHDs behind or within the case or be creative with one of the bays if necessary with two screws. Or could install a 3.5” Hard Drive at the bottom of the case but then don’t use a two-fan GPU if this occurs. 4) The panels are easy to remove so no sweat there. Though it would help me more if I was taller since I built this computer on the baking counter. 1) I may be a broken record here but the space is limited but not impossible to work in. I cannot say it’s a major con but it’ll be tight for being a compact case. For me I’m good with “compact” and “tight” spacing. But it’s something to be very aware about if you may not have small hands either so take advantage of removing those panels and even the case fans when working in the case itself. 2) Limited to 80mm back case fan, likewise for 120mm case fans with the side and front section of the case. I cannot say it’s that bad but if this little bit is an issue to any then you know now. 3) The 5.25” and 3.5” bays are only able to install one optical drive and storage. So keep in mind about the optical drive must be installed at the TOP 5.25” bay, because it’s the only way to have an external device. However it can also be a Fan Controller instead of an optical drive. 4) WATCH OUT for deciding to install a 3.5” hard drive in the second bay, the 3.5”. If you intend to install a 3.5” hard drive underneath the 5.25” bay then do it right away. And depending on the motherboard layout, it may be not possible to install such a thing with the motherboard already installed so take advantage of the front panel being removed and use that opportunity to install. Otherwise you may be looking at 2.5” hard drives or another SSD instead if you already cable managed with zip-ties between velcro straps the wires. Learn from my mistake and just install any 3.5” hard drive ahead of time due to spacing constraints will collide with the motherboard RAM slots and the CPU cooler which you may not easily add in the hard drive at this point. The second non-cost item in this build. It works and it’s quiet as long the fan curve is set correctly. Can be loud if something wonky occurs which did happen for a while until the October update went through from Windows 10… then everything went back to normal for the case fan. It was… very odd and not sure what fixed the issue of having under 1200rpm because when it wasn’t correct it was maxed at 2000rpm which was very loud. Such a mystery and maybe it reset the fan curves properly… I did try a lot of fan curve adjustments over and over again to no avail until that October update showed up. Otherwise it’s truly quiet when it’s 1170~1190rpm. Not the most fanciest monitor but gets the job done. Doesn’t include monitor speakers but has an HDMI and VGA port including an Audio Out port for a pair of headphone. Very light weight and easy to put together but have to be careful to not knock it down. The color and brightness needs adjustments until it meets satisfactory. 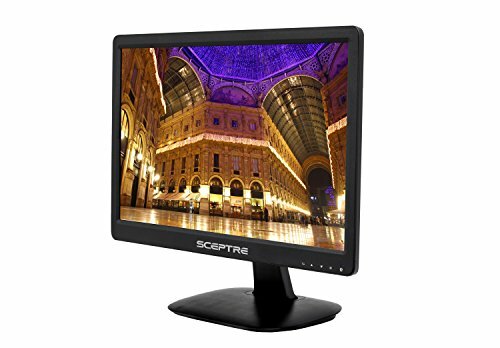 For another $10-$30 more there’s always some 900p or 1080p monitor out there but some of the new Spectre monitors just don’t seem as good in colors like their previous models. 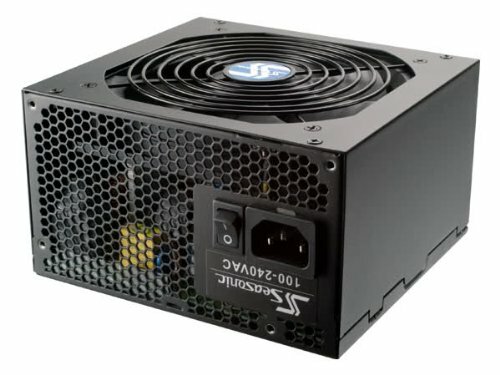 The very last 430w Seasonic PSU that I purchased from Amazon at 2016 (backordered 3 of these as new). Still works great, fan is quiet and helps pull the extra heat out. No problem with cable management as most of the flat wires make this easy. I used one PCI-E cable to connect the GTX 750 Ti FTW which these particular wires can be stiff but still easy to work with regardless. Purchased this from Newegg and its main purpose is to play DVD movies or CDs. Yes it really is an ASUS optical drive and it works. This version is intentional designed to be without the ASUS logo but there’s another version with the logo on it too. Also purchased from Newegg and I love these keyboard and mouse combos. The mouse works for right-hand or left-hand users. The keyboard is comfortable too and can adjust its angle if necessary. 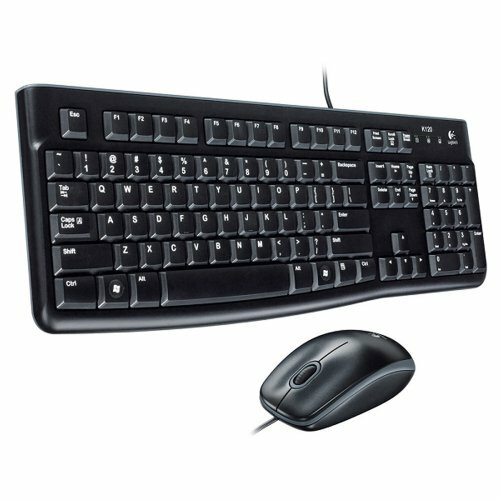 Cannot beat this Logitech’s combo if you find them for a reasonable price or on sale. 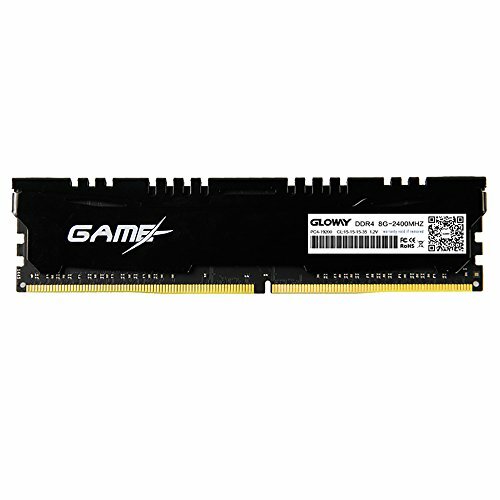 Purchased from Amazon and is the best bare minimum for surfing on the internet, watching videos, and gaming. 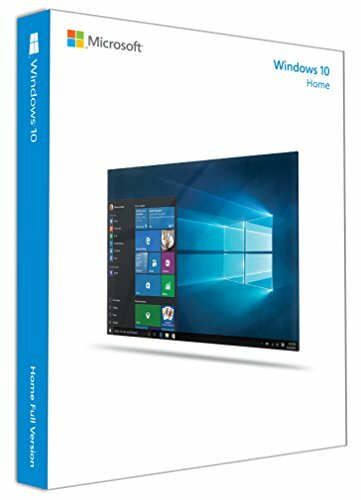 It was plug and ready to connect WiFi so I didn’t install the additional software that comes with it but do make sure the Realtek driver works first (Windows 10 automatically installs for you when updating Windows) which I had no issues. 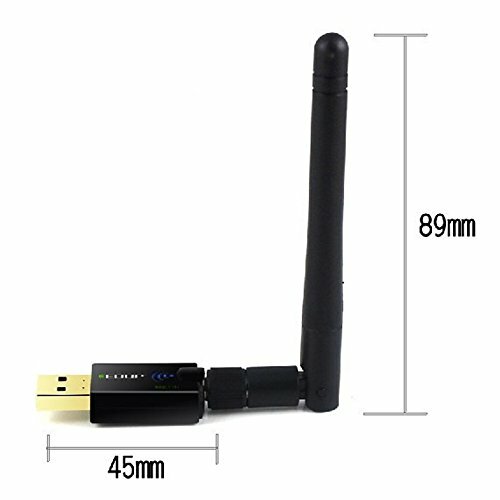 Not an instant response like you might see any WiFi with 600Mbps and above connection but it gets the job and it’s affordable! Yes good enough for downloads between downloading games from Steam, UPlay etc. The very last component which was October 18th, 2018. I had it replace some previous speakers that weren't that great for the same price. Nothing too fancy but convenient in size and controlling the volume with ease. 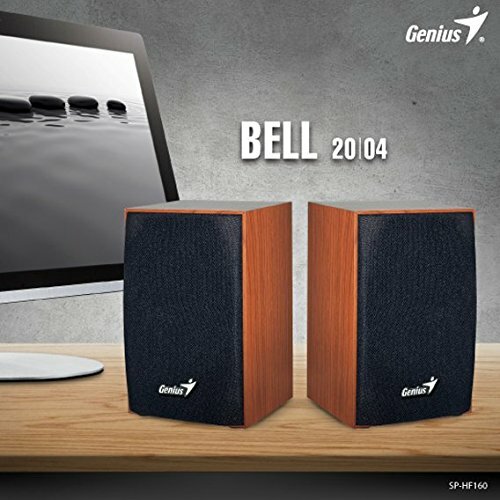 I had purchased some other speakers and unfortunately it had horrible static feedback which forced the previous speakers to be low. Thus was barely audible to a point to try reinstalling the audio driver and that didn’t solve the problem until purchasing these Genius Wood Speakers resolved this. They work and the audio sounds better and it may vary on the feedback since it needs volume adjusting but again it’s far more better and can hear them. Another affordable desktop that I have built for a relative in a long time. It was another quick build but a joyful one. Again, I’ll be teaching grandma E. how to use her very own desktop and of course am her I.T. with it. VLC Media Player: If you have VLC Media Player and it shows a black screen with sound, fear not! There’s a way to fix this! Go to Tools > Preferences > Input / Codecs. Under Codecs there's Hardware-accelerated decoding, from this select the drop-down that displays Automatic and change it to Disable. Click Save once you’ve disabled the Hardware-accelerated decoding, close VLC Media Player. Start up VLC Media player again and test it with a DVD movie and should see the movie with an actual video playback on the screen. Otherwise, thank you for reading my description. Please feel free to leave any comments, questions, and constructive criticism. I’ll correct any mistakes, typos, if I forgot to mention something or if I need to clarify something better. The whole presentation is nice. Thanks so much Gooberdad! Always appreciate your support as it means a lot. Btw what happened to the previous post that was "deleted by staff"? It happens. Plus the build is pretty simple since it's not a gaming rig with pretty lights nor RGB or custom liquid cooling or a fancy looking case nor the latest tech release either so... oh yes the name means simple too haha... I'm bad with jokes. The crickets agree with their chirping. I have a feeling it's a deleted account again by Philip or one of the staff. Though I had no qualms with the person's comment so something else must've been a red flag and ran out x-amount of grace before the ban occurred. That is my guess. Gotcha. It's not custom colored, mega powered, or filled with funky tubes of coolant. Just odd to see one of your presentations overlooked by the the masses on here. Wow! What a write up and great photos. The details you put into your benchmarks are very impressive, well done. Aw, thank you gork. I try my best. Hopefully when I am done with my semester and couple of other things to get done, could post something up again. Just been very busy lately. Again thanks for your lovely comments and happy to have your support. +1 for the all documentation! Crazy how you got all of this for under $400. Thanks a lot and just the build alone is under $400, not including the OS, monitor and peripherals. It was nice it accumulated that much despite how large the gap of purchasing my parts were. I was gulity snatching some deals overtime and re-purposed my GTX 750 Ti to new home. I'll clarify this better on my description so my bad. Again, thank you so much for the support. Thank you so much! Happy to know.